Only available on Gran Turismo 6! Hyundai has added a new supercar concept to its usual modest line-up that brings a whopping 872-horsepower to the plate. 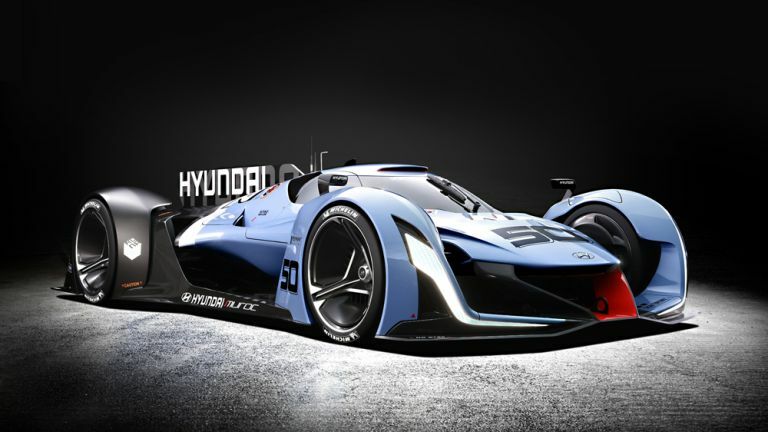 The Hyundai N 2025 Vision Gran Turismo is part of the firm's strategy to develop high-performance cars and the car is powered by four in-wheel motors that are connected to a hydrogen fuel-cell system. Under the bonnet the hydrogen fuel cell system provides 670-horsepower whereas the further 201-horsepower is drawn from a super-capacitor and it all comes together to produce an all-wheel drive experience that would be welcome on any good, or bad, driving video game let alone a road. "Design, quality and product value have become established as key pillars of our brand, now and we are adding the emotional characteristics of performance and driving pleasure with Hyundai N", said Jochen Sengpiehl, VP of Marketing at Hyundai Europe. The reason we mention video games in particular is that this concept is part of the Vision Gran Turismo project that allows car makers to add cars to the popular video game series. As a result of this, Gran Turismo 6 will be the exclusive home of the car. Hyundai's N brand, meanwhile, will only grow from here with a real focus on sustainable technology and race car design.